Pool Equipment Repair and Installation. We Repair Pool and Spa Heaters!!! Automated Equipment is a licensed and insured electrical contractor. The fact that most pool or spa equipment is electrical, or like the filter, is near electrical equipment, it makes sense to call an electrical contractor to do the repair or the new installation. Most pool service company’s are in business to put chemicals in your pool and may not be your best choice for doing electrical work on your equipment. On many pool equipment repair jobs we have done, we have found electrical code violations, many of which were an electrocution waiting to happen. Please think about this the next time you have a pool equipment problem, then call us at (209) 669-6970. We can save you a lot of $$$ money replacing your old pool pump/motor with a new two speed or variable speed pump/motor. In fact we can show you that the replacement will pay for itself in a few (1-3 years). Why wait? Call Today!! Automated Equipment is a warranty repair station for Raypak pool and spa heaters and Fiberstars lighting products. 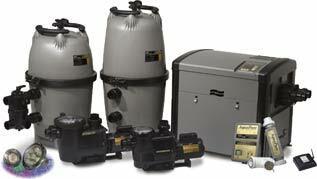 We work on all brands of equipment and are certified in Pool / Spa water chemistry. We are also certified pool operators with the National swimming pool foundation and are a member of the Better Business Bureau. What these certifications should mean to you, as a consumer is that we are well trained, well trusted, and fully insured. This makes automated Equipment the perfect and trust worthy choice to take care of all your swimming pool and spa equipment needs. Automated Equipment has been working on heaters, boilers, burners and gas trains for years. We have found that Raypak pool and spa heaters are by far the best available. 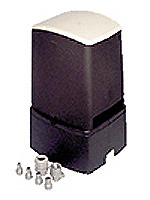 They are made to superior standards, are heavy duty, attractive, and reliable. Raypak is our preferred vendor for heaters.